JV Region Wrestling Results: Great Job Boys! 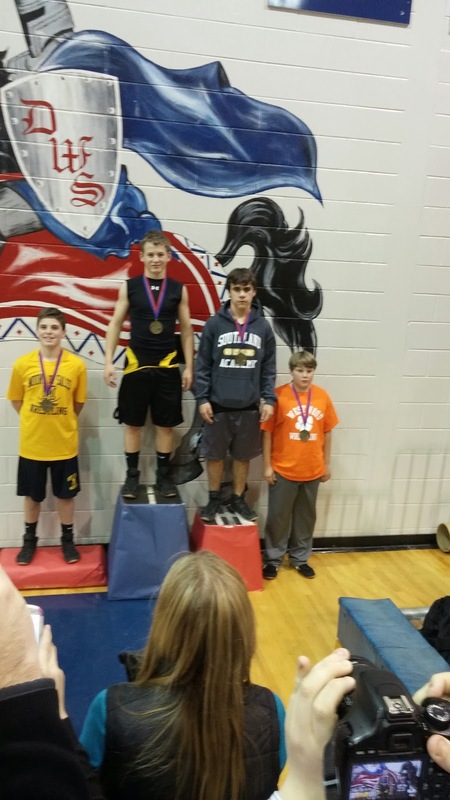 Cameron Drinkwater went 4-1 in the Tournament winning 1st place in the Region at 103lb weight class. 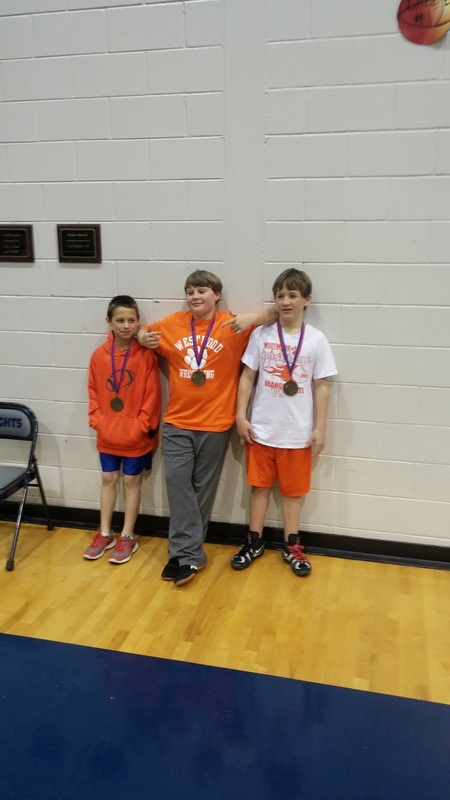 He wrestled very hard and had some really good, close matches against some of the states best wrestlers in his weight class. Joe Santiago was undefeated in his weight class at the tournament going 3-0 against wrestlers he has never wrestled before. 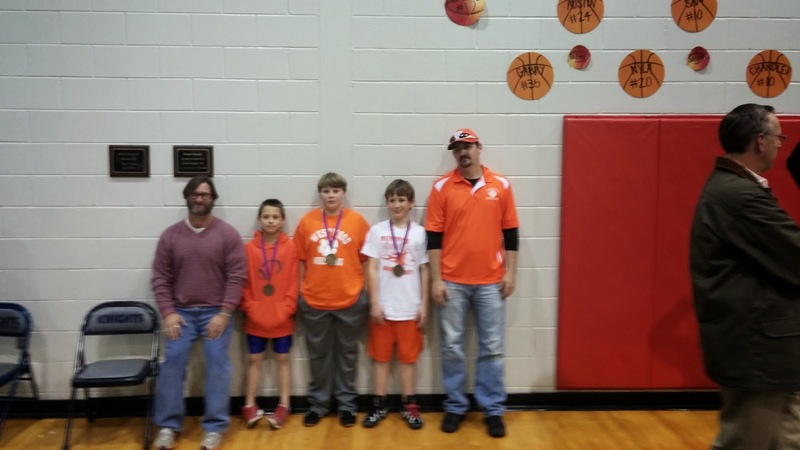 These guys were tough but Joe came out on top winning 1st place. Ridge Baggett ended up in a hard fought 4th place. 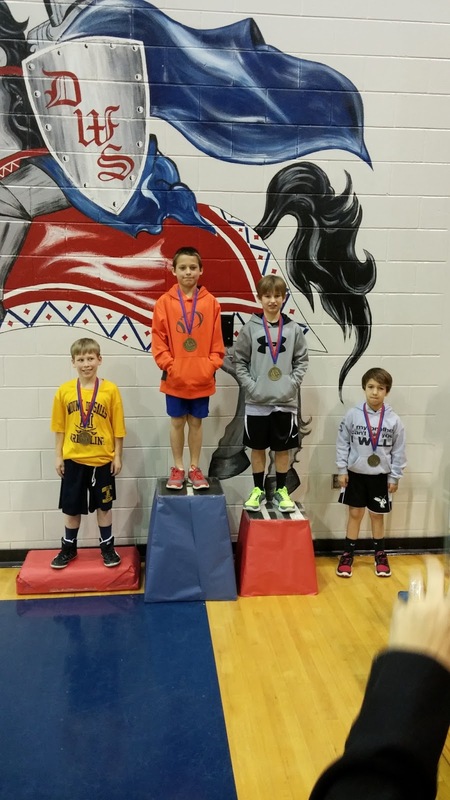 Ridge has a very tough weight class wrestling mainly against 7th and 8th graders which is hard to do as a 5th grader. He did get one pin fall in the tournament. 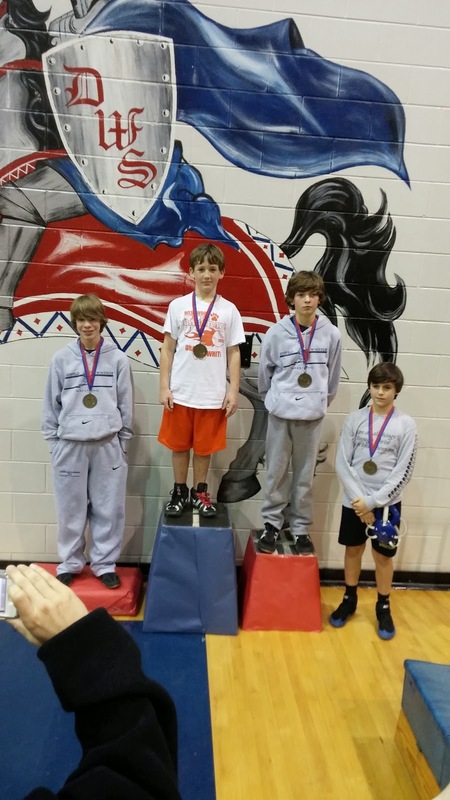 Ridge and Joe were 5th graders wrestling up to JV against 6th 7th and 8th graders all year. This has gained them the experience to compete at a high level in following years. Cameron stayed at the top of his weight class all season long and all the boys are looking for some company to go to the top again next year. If any of the students want to get in on some serious competition for next year come see us in November. Go Cats! !